It was the bet of a lifetime – and if Justin Brown lost, he’d be forced to go to the other side of the world and pay his way home as a door-to-door busker. Sure enough, wannabe musician Brown found himself penniless and freezing. 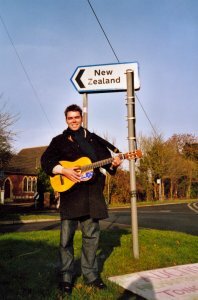 Armed with a duffle coat and a guitar, he travels the country in mid-winter, knocking on doors and singing for his supper. 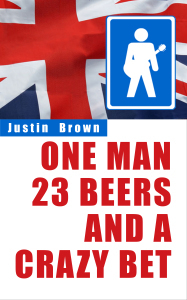 He meets gypsies, drinks with Britain’s most famous street singer, harasses carol singers, plucks turkeys, speaks to J.K.Rowling and gets told to beat it 357 times, all in his quest to get home to New Zealand. 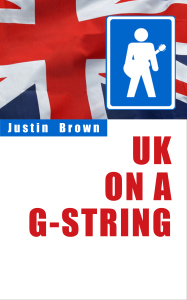 Brown delivers an hilarious account of his journey, showing why he’s become an award-winning travel writer and bestselling author.